I'm gearing up for my next in person book club in a few days so it was time to share the rest of my recent reads! 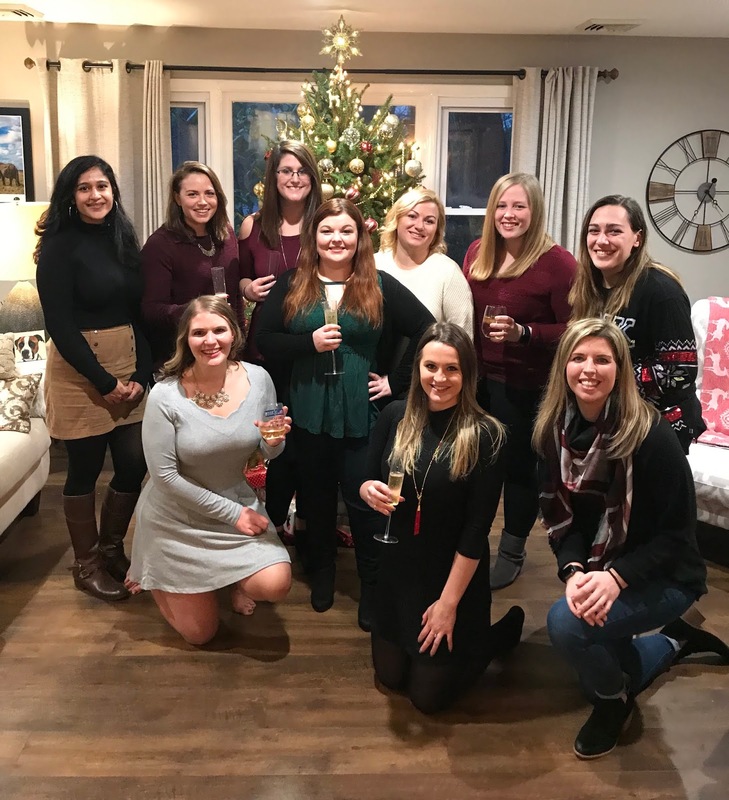 I posted my last books right before Christmas and since then I got together with my book club for a fun holiday party complete with a gingerbread house competition, lots of yummy snacks, and of course plenty of wine as well. Here's the full list of the books I just read: I loved three of these, only one was actually a bummer! This was a great read that I really enjoyed. Basically, two newlyweds go on a charming honeymoon where they discover something one day while out boating that changes their lives forever. This very normal couple is then thrust into making some very questionable ethical decisions and navigating their way through some potential criminal activity that they never would have been involved in before. 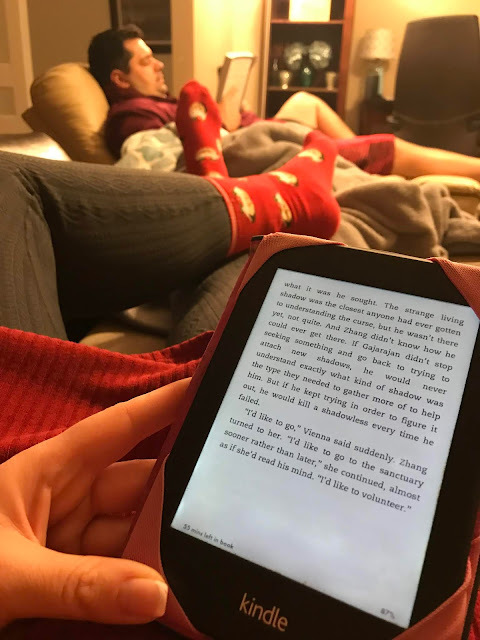 I thought at first that the book started off a little slow, but I do realize now after finishing the book that the slower portions were laying some important framework for the rest of the novel, so make sure you power through those early moments! Things really picked up after the couple finds that “something” in the water, and there was a LOT of action after that. Besides just the story of the couple, the novel also delves into some background and storylines of some characters in Erin’s documentary that she was working on which was a nice reprieve from the main storyline, but also ended-up intertwining with the main story after all. The ending of this book TOTALLY surprised me and I did not see it coming at all. I read most of this book while on a flight down to Nashville and after we landed I only had 7 minutes left in the book and I KNEW I just couldn’t do anything else until I finished!!! I made my boyfriend wait for my suitcase to get off the plane while I sat in a corner of the airport and finished the book – lol!!! I just needed the closure!!! I would definitely recommend giving this one a read. One afternoon at an outdoor market in India, a man’s shadow disappears—an occurrence science cannot explain. He is only the first. The phenomenon spreads like a plague, and while those afflicted gain a strange new power, it comes at a horrible price: the loss of all their memories. Ory and his wife Max have escaped the Forgetting so far by hiding in an abandoned hotel deep in the woods. Their new life feels almost normal, until one day Max’s shadow disappears too. This book disappointed me. I forget who, but I think one of my favorite authors recommended it, so I put myself on the waiting list on Overdrive for it. It randomly became available a few months later so I decided to read it. I think the biggest reason this book disappointed me was because it is in the "dystopian fiction" genre and I just recently read Bird Box (Bird Box review here) which was also a dystopian fiction book, and I LOVED that one so much. I feel like this one just dragged on and on and on. The story was interesting at times, and there was good drama in the book, but the concept of people "losing their shadows" and then starting to forget their memories, but then also gaining magic powers...eh. It just seemed far fetched to me and blah. It wasn't terrible, I wanted to read through to the end to find out what happened and there was one MAJOR twist I was not expecting, but overall if you are looking for dystopian fiction, Bird Box was a wayyy better read in my opinion. I'm well known for being a big Elin Hilderbrand fan (see this post where I went to Nantucket for a weekend JUST because of her novels) so I obviously had to read her latest novel, Winter in Paradise, that just came out in 2018. This is the first of Elin's books that has NOT been set on the island of Nantucket, and to be honest I was actually a little skeptical going into the book on how much I would like it. I think I was unfairly swayed by reading a bad review of the book from another big Elin fan, but I really should have just trusted my gut: Elin can write nothing bad! This was another wonderful novel and I'm so glad I read it. I did miss a bit of the quaint Nantucket references, but Elin did such a good job describing the quaint qualities of St. John that she already has me falling in love in with the Island. I wish I book a weekend trip to St. John just to laze around on the beaches, hit up happy hour at Woody's, enjoy dinner at La Tapas, and just wander around the remote and beautiful island ;). It had everything I loved about Elin's books: a multitude of interesting characters, love and romance, drama and intrigue, and SO MUCH intrigue that I was almost pissed off when I finished the book because I forgot that this is the first of a trilogy! I was giddy when I finished the book and realized there still would be two more books in the series for me to dive into. As she begins to mix in New York high society, Lou meets Joshua Ryan, a man who brings with him a whisper of her past. Before long, Lou finds herself torn between Fifth Avenue where she works and the treasure-filled vintage clothing store where she actually feels at home. And when matters come to a head, she has to ask herself: Who is Louisa Clark? And how do you find the courage to follow your heart—wherever that may lead? Funny, romantic, and poignant, Still Me follows Lou as she discovers who she is and who she was always meant to be—and learns to live boldly in her brave new world. I've only ever read one Agatha Christie f the most published authors ever!) and I really want to read some more of her novels now. I read this book for free on Overdrive, but the first time it came up as available to rent I passed on it. I read the first two books in this series and really enjoyed them, but that was a little while ago and I kind of forgot how much I liked them and wasn't dying to dive into this one. I passed on it once, but when it came up again for me to rent I decided to just finally go ahead and read it. I am SO GLAD that I did because I truly did forget how wonderful this series is!!! Louise Clark is such a wonderful heroine to follow along and the author is so funny. I was giggling out loud during multiple parts of the book. It was so nice to see some of the other characters come back, including Louisa's dotting mother, slightly rude sister, and the memories of her time spent with Will sprinkled throughout the drama of her new relationships. If you have yet to read Me Before You, you MUST add it to your reading list immediately (that book had a MAJOR impact on me), and I would 100% say that the two remaining books in the trilogy are worth reading as well. I'm finalizing this post while waiting at the airport to board a flight to Florida for a week where I will be making my way down to Miami to leave for a CRUISE to the Bahamas (!!!) and I foresee lots of time to read in my future. I'll have some time to read on the plane, but I'm most looking forward to reading on the beach on the private island owned by Royal Caribbean with a drink in my hand. Can't wait to get there!! !